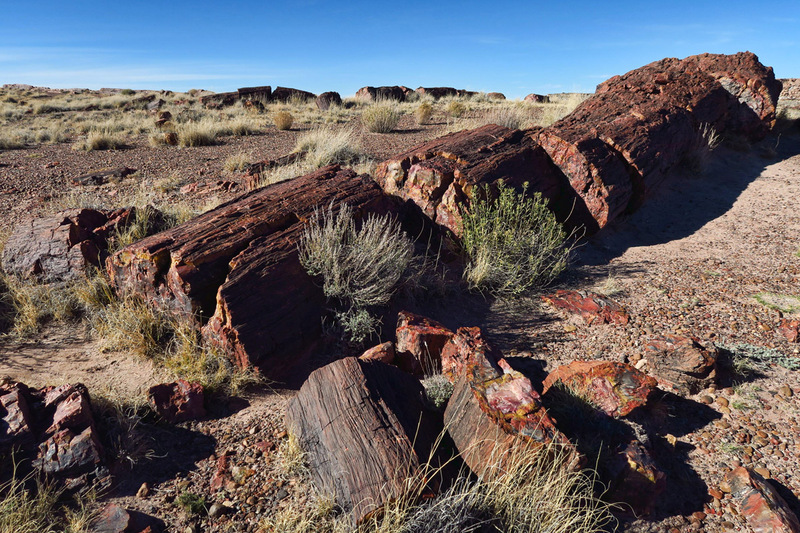 One national park which I crossed off the list as “been there, done that” long ago has been nagging at my conscience, The Petrified Forest. 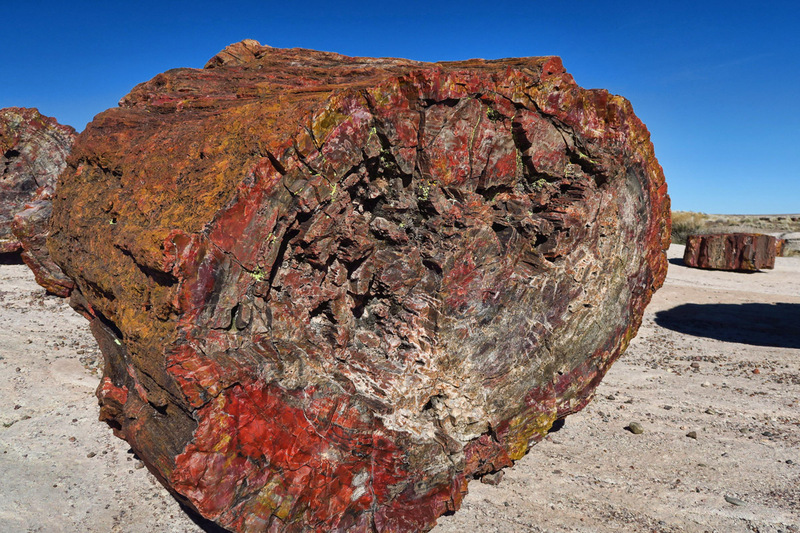 I remember visiting a place with petrified wood on display during one of our family cross-country vacations. I verified this with Mom, who has a memory like a steel trap. But even she can’t say for sure. 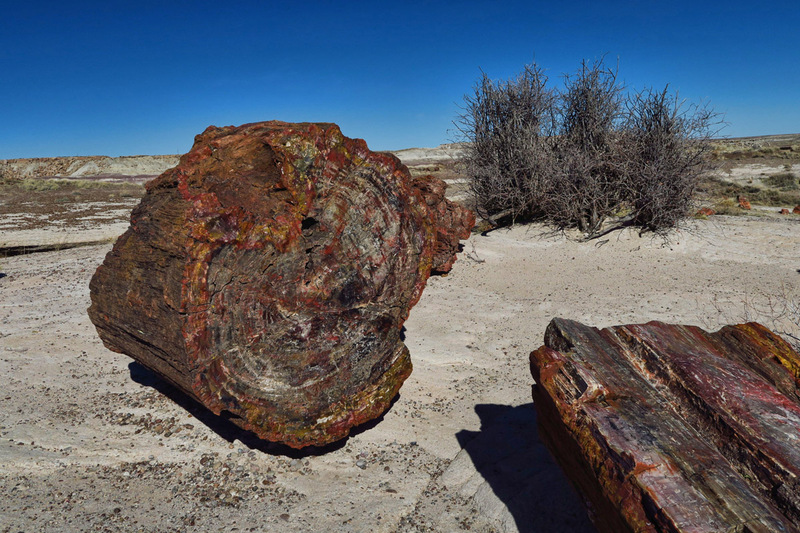 We both have recollections of a requisite roadside tourist stop to marvel at the mineralized logs, but neither of us can say for sure it was the Petrified Forest. So after seeing the roadside sign on my way down I-40 when leaving the Grand Canyon, I figured I’d just swing through, just to see if anything looked familiar. Maybe an hour, at the most…. 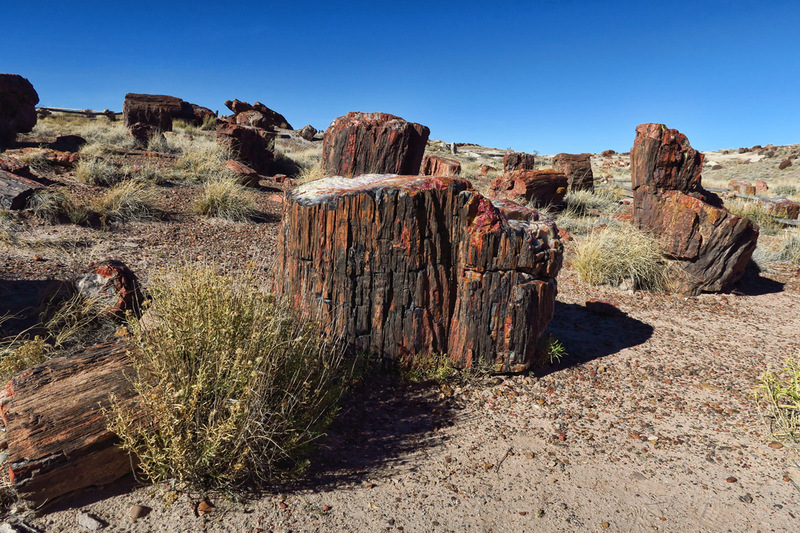 After a stop at the Rainbow Forest Museum, the south end visitor center, I realize the Petrified Forest National Park is so much more than a former forest of fallen tree trunks turned to stone. 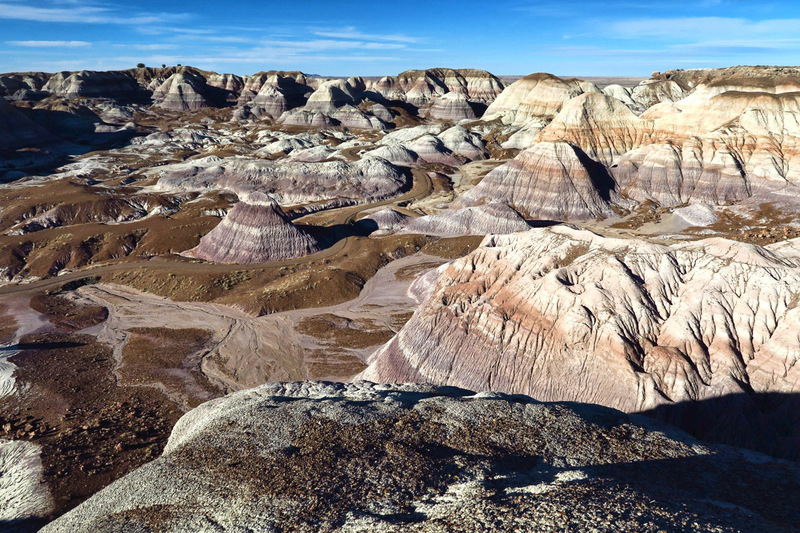 There are hiking trails through badlands, ancient Puebloan sites and petroglyphs, overlooks with miles of variegated colors of desert, a stretch of the original Route 66, and the Painted Desert Inn, now on the National Register of Historic places. It’s like several mini attractions rolled into one national park. Knots indicate where branches once were. Crystallization is responsible for the clean, even break in the logs. Entering from the south end from Highway 180, at the Rainbow Forest Museum is a short half mile loop trail called “Giant Logs.” This trail features some of the largest logs in the park, one up to 10 feet in width at the base. 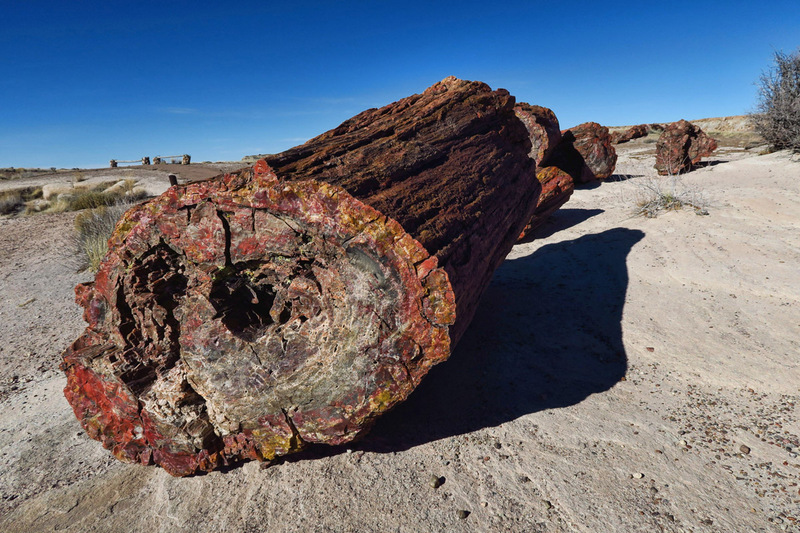 A log gets petrified when its original plant material is replaced by minerals. This process occurs when a fallen log becomes saturated with mineral-rich water, most often in volcanic environments. Eventually the silica deposits crystallize, turning the logs to stone. Nine species of trees have been identified in the park, all now extinct. 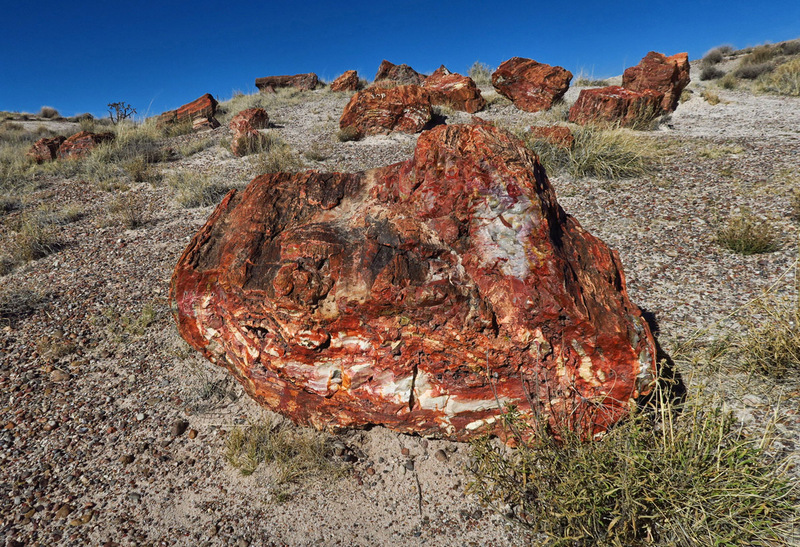 Mineral impurities in the stone trees give them their color; iron oxides give red, yellow, orange and purple veins. Manganese oxides are black and grey, while pure quartz provides white deposits. While the initial stages may take only decades, it takes millions of years for the molecular structure to produce these colorful quartz formations. Path leading to Blue Badlands 3.5 mile loop trail. 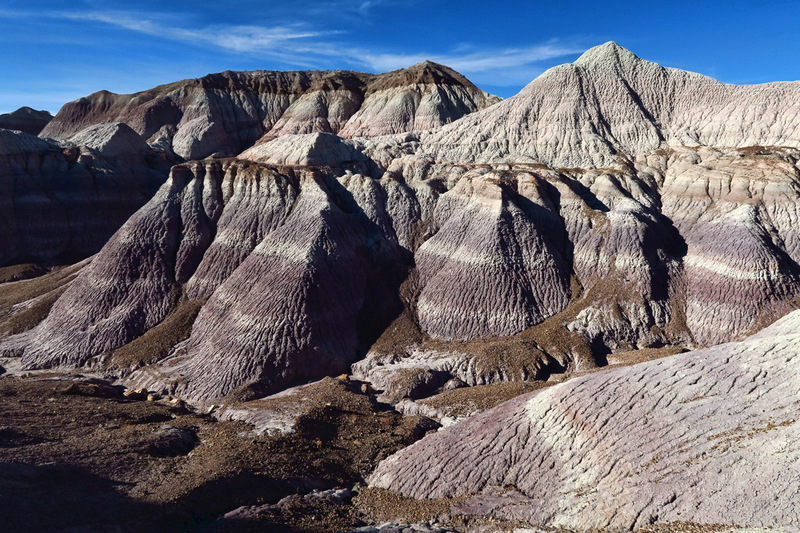 After a few more stops at the Crystal Forest and several scenic pullouts, I encounter a phenomena of a different sort….the “Blue Badlands.” A trail leads down through hills and undulating valleys of blue, lavender, and grey striped “elephant skin” made from bentonite clay. There is no one else on this 3.5 mile loop trail, leaving me with the feeling that I am on an alien planet. 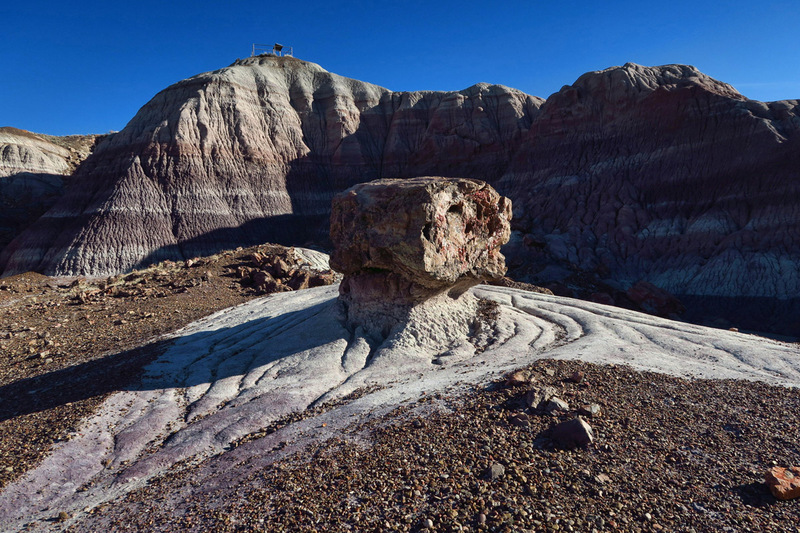 Pieces of petrified wood dot the surface of the Blue Badlands. As I approach the northern end of the park, a 1932 Studebaker standing in the shadow of some retro telephone poles marks the spot where the original Route 66 once cut through the park. 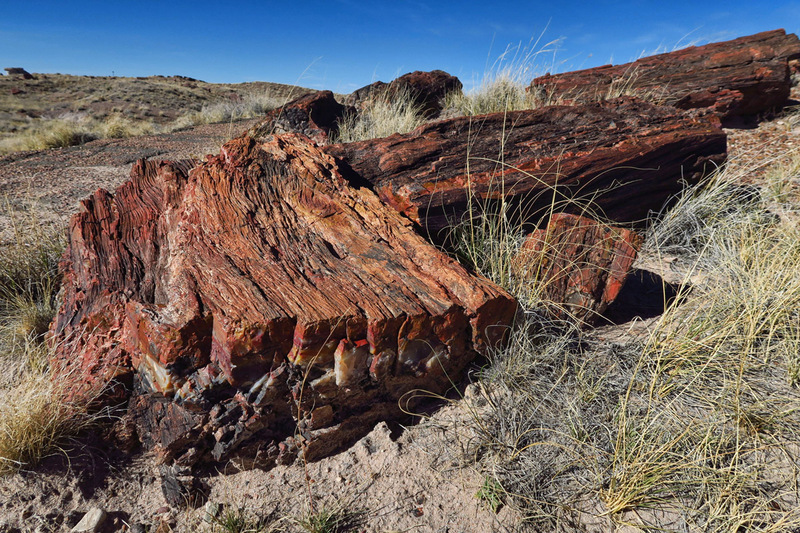 Petrified Forest National Park is the only park which protects a stretch of the original Mother Road, established in 1926. This iconic highway was once a destination in of itself, and no doubt a trigger for my childhood memory, prompting me to ask the question, “Did we or didn’t we?” As a road tripping family, my Dad always wanted to head west, and as the 1946 song suggests, “get your kicks on Route 66” certainly held much of that allure. I can still remember my Dad, tall and slim and always wearing a Stetson. 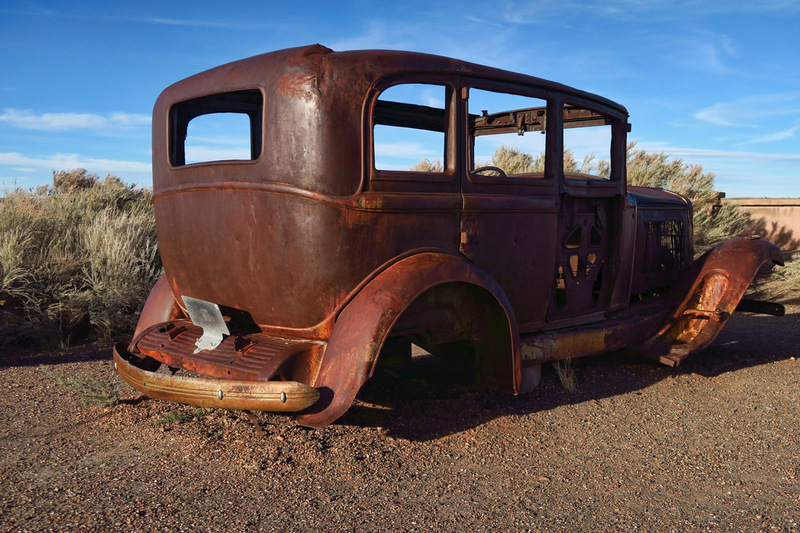 Road trips would have him coming out the screen door of the “filling station” with a green glass bottle of Coca-Cola, filled with a bag of Lance’s peanuts bobbing on the surface. 1932 Studebaker marks the alignment with the original Route 66. 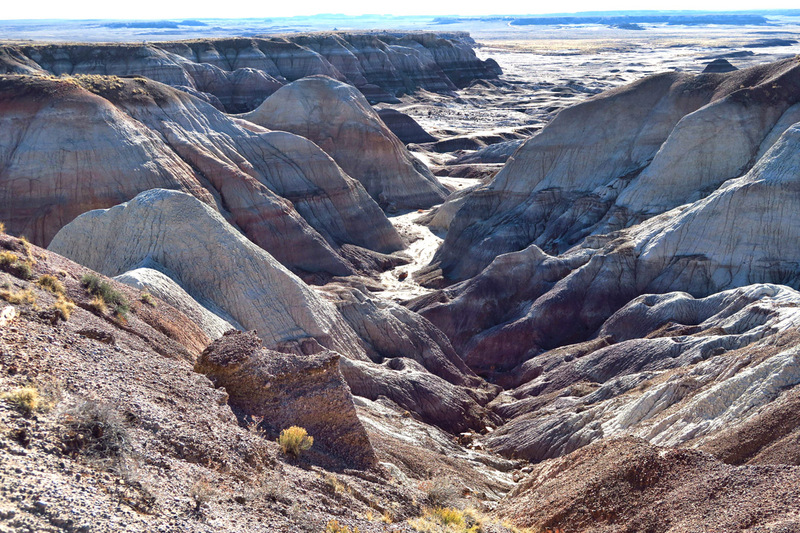 Beautiful views from vistas along the park road, overlooking the Painted Desert. The northern end of the park near today’s version of Route 66, Interstate 40, is a different scene altogether. 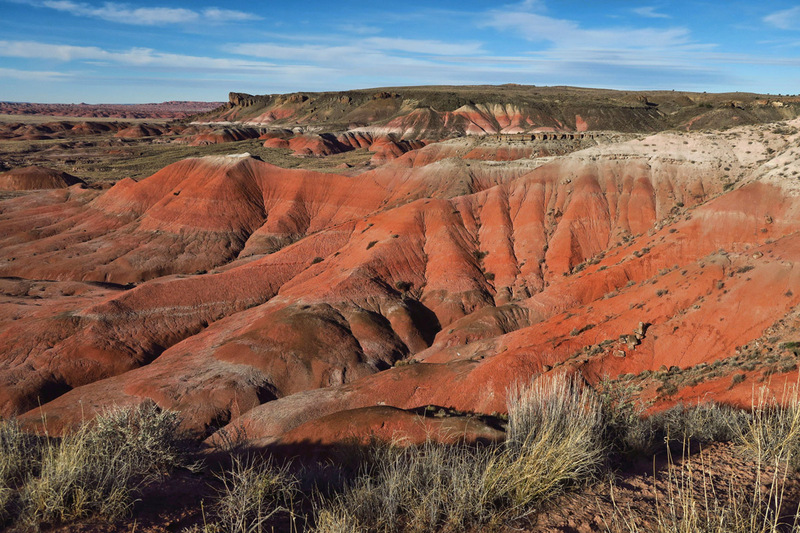 Vistas along the road overlook Arizona’s beautiful Painted Desert, a larger, fiery red version of the undulating hills of the Blue Badlands further to the south. 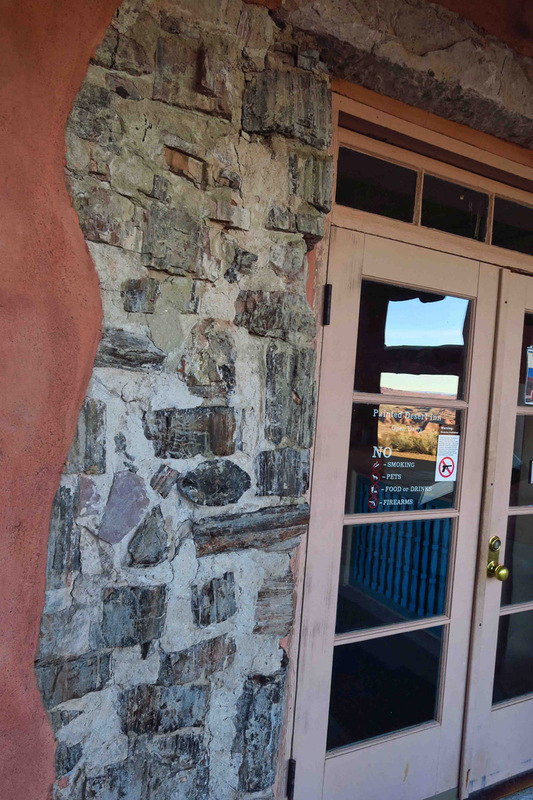 It’s also the location for the historic Painted Desert Inn, built of petrified wood and native stone. 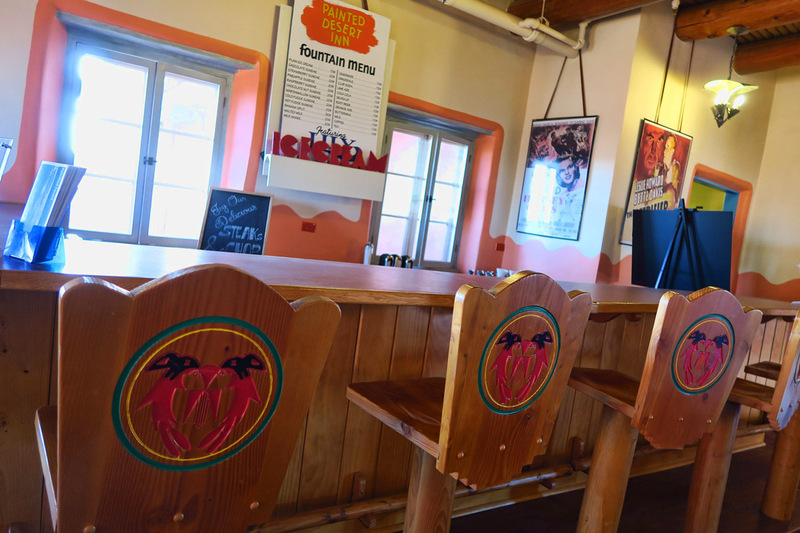 Built before the 1920’s, preserved by the CCC in the 30’s, and seeing its heyday during the Route 66 era, the Inn was established as a National Historic Landmark in 1987. 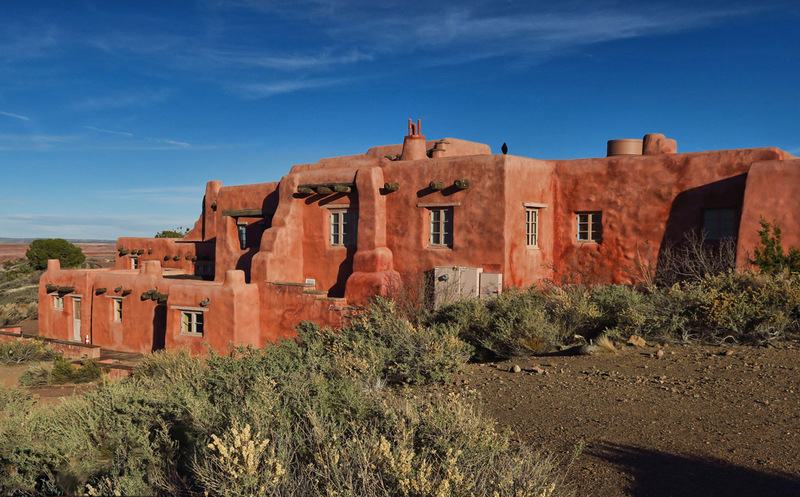 Beautifully restored Painted Desert Inn, originally built near 1920. During original construction, wood was in limited supply. 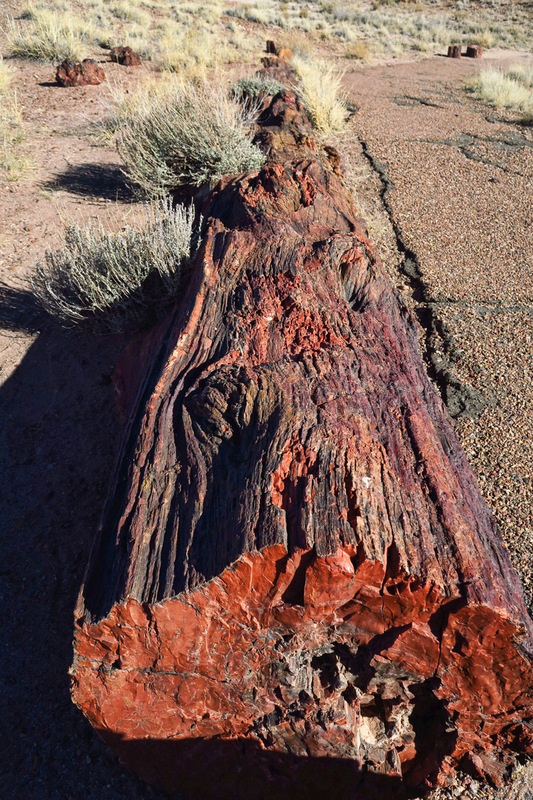 Before conservation efforts, petrified logs were used in the construction of the Inn. Decor inside the Inn was restored to original Native American art. 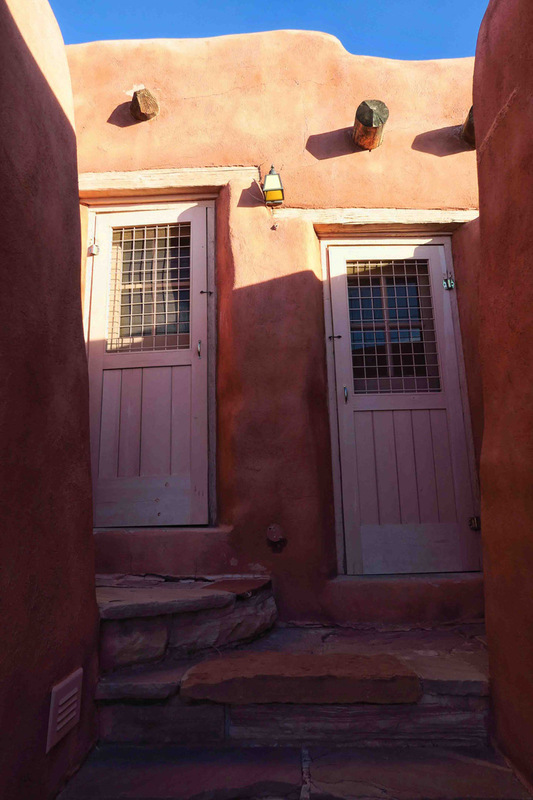 Since the Inn was so remote, it included small rooms for staff, known as “Harvey Girls,” named after Fred Harvey, entrepreneur and restaurateur who established hotels and restaurants along the Atchison, Topeka, & Santa Fe Railway, including the Grand Canyon. The park has more than doubled in size since my childhood, with preservation efforts as recent as 2004 when then-President George Bush signed the bill doubling the boundaries protecting the park. So whether we did or whether we didn’t, I can now count the Petrified Forest National Park “officially done.” In this instance, having a bucket list as a task master proved fortuitous, otherwise I might have bypassed such a myriad of attractions in this national park along my southerly migration route. 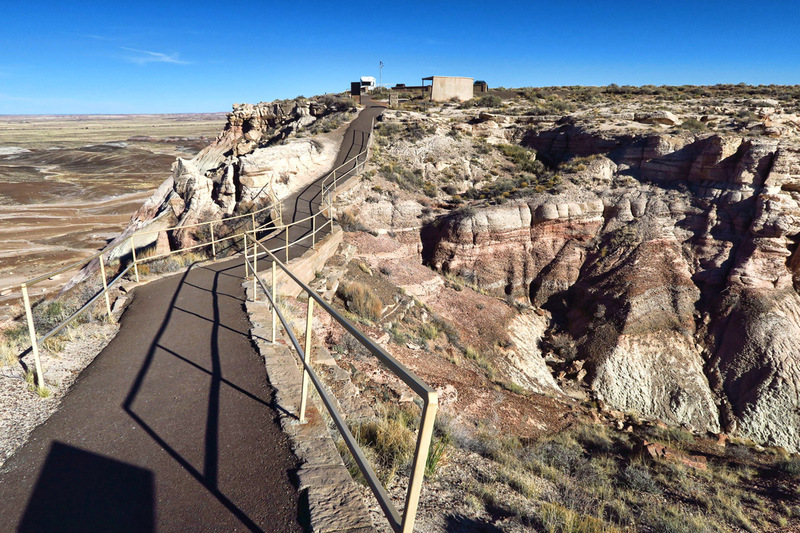 This entry was posted in Arizona, National Parks and tagged Blue Badlands, Painted Desert, Painted Desert Inn, Petrified Forest National Park, Route 66 by Suzanne. Bookmark the permalink. If you should be passing through Las Cruces, NM, make sure stop for visit to the Zuhl Museum on the campus of NMSU. 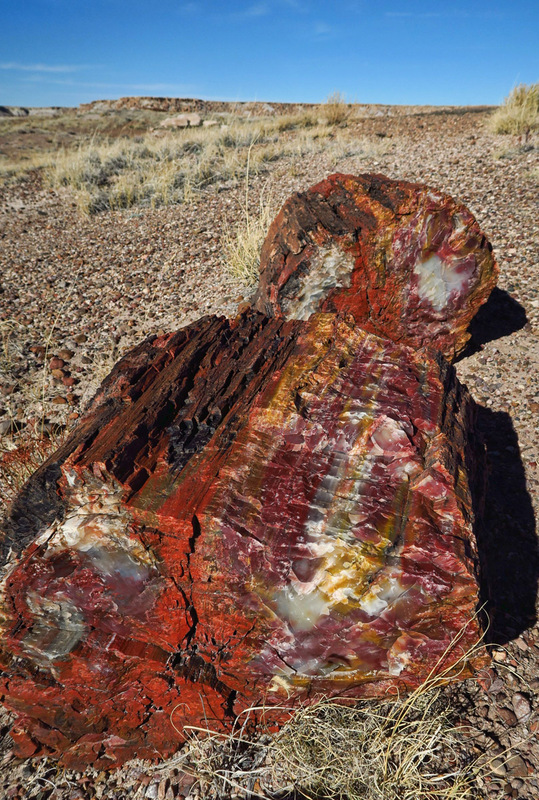 The Zuhl’s developed a passion for petrified wood and purchased hundreds of pieces having them sliced and polished. Most is from AZ, UT, WA, and OR. They also have a fossil collection and several amazing geodes. They donated their collection to the university when they decided to retire in Las Cruces. The collection is in two room off the University VC. It is an amazing collection and free! 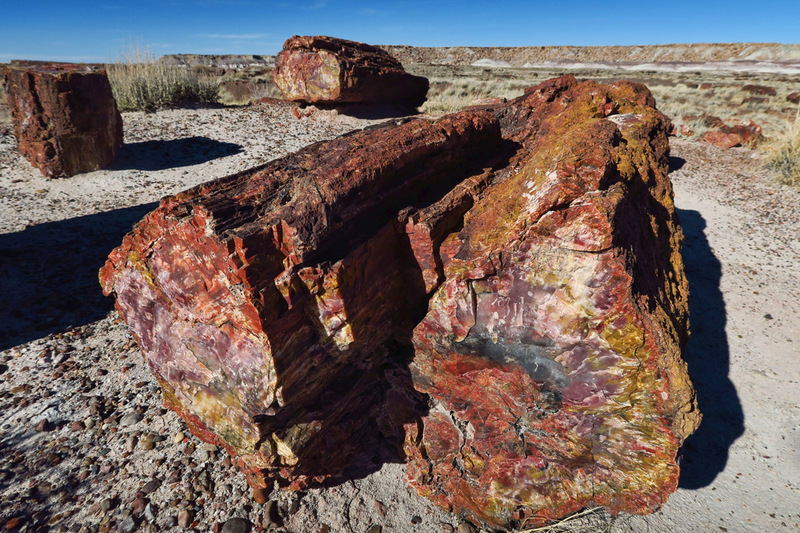 I crossed on Route 66 in the 50’s with my grandparents and remember the Painted Desert and Petrified Forest. We had to hang a burlap waterbed on the front of the radiator to keep it cool. I was fascinated by all the Indian’s selling wares on the side of the road. This post was very nostalgic for me. Thank you. 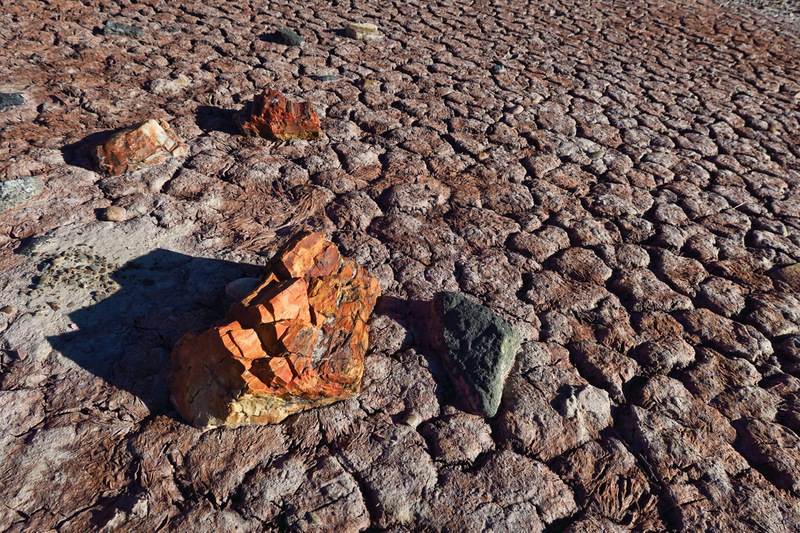 I remember seeing the petrified forest when I was a child. I still remember hitting the trunk of the tree and almost breaking my hand! I was awestruck by the place. So glad to see it again!!!! 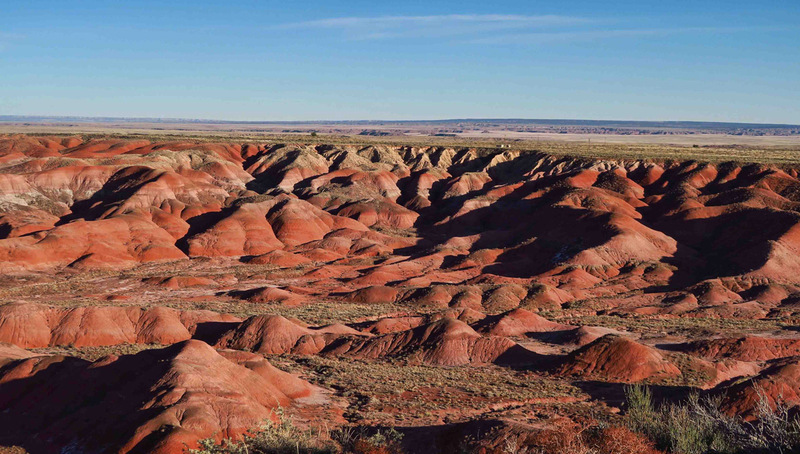 An austere landscape as vegetation goes… but mind-blowing colors!!! This year marks Canada’s 150 th birthday ( I know…we’re so young) entry into all national parks is free all year……just sayin. eh. This is one I too may have visited as a child but I really don’t remember it. It most certainly looks like it’s worth some serious time! Funny you should mention route 66. 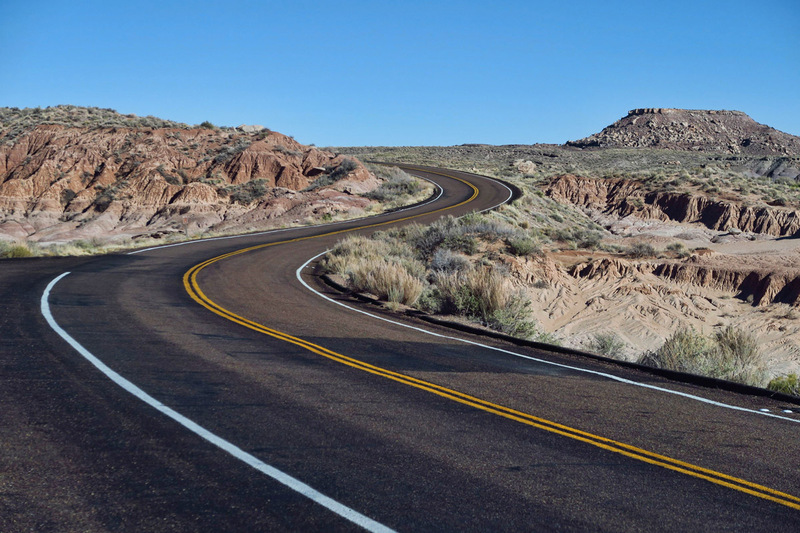 Yesterday driving back to New Mexico from Texas we were looking at some of the roads on the side of Interstate 40 and wondering if they were remnants of route 66. Back in the early 60’s when I was a little kid we traveled the “real deal route 66 pre interstate” all the way out west from Florida several times. Now when I go along I-40 I try to remember what it was like back then. 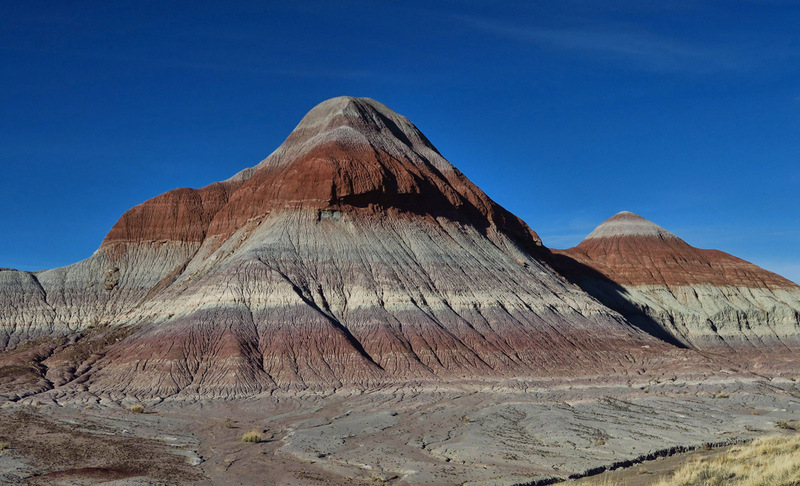 Great post and your photos of the Prettified Forest and Painted Desert are really nice. I have been many times but always mid day when photos do not come out so well. Thanks for the memory jog. I would have visited PEFO 40 years ago on my first national parks road trip but have no photos, and nobody to ask, so couldn’t quite remember. But I didn’t earn a Junior Ranger Badge so need to go back. Glad you made this side trip. Great shots of the rock/wood. 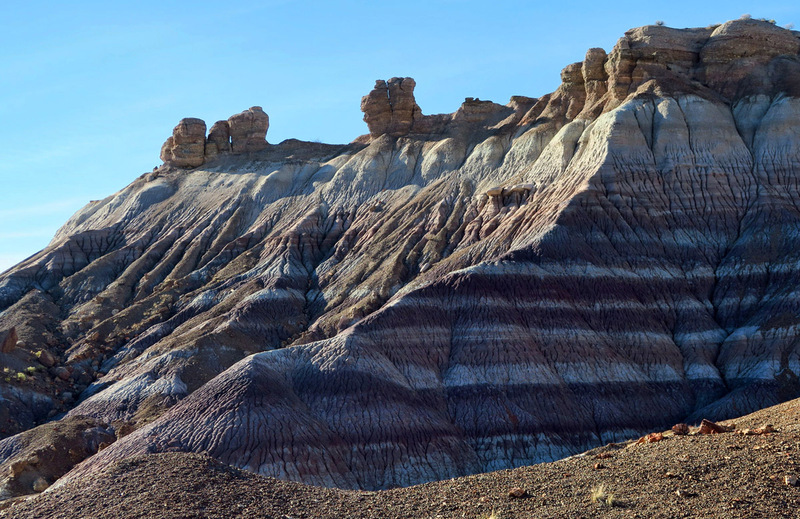 I enjoyed Petrified Forest NP much more than I thought I would. We did not have nearly enough time there. I want to go back at a much more leisurely pace.